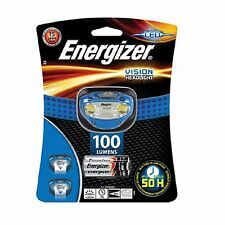 Lightweight, versatile and comfortable, the Energizer Vision HD LED Headlight is perfect for electrical, plumbing, HVAC or other work that requires both hands. Dimmable light sources allow you to choose the best illumination for the job – Spot and area light modes; including 2 red LED’s for Night Vision. 【Super Bright LED】 High quality durable aluminum alloy crust, White cree 3 led T6 powerful LED light. You'll be able to see up to 300m away and keep safer in low light conditions. 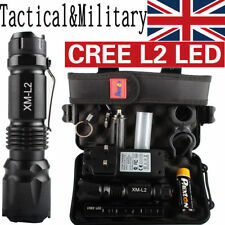 Light Source: 3 Cree XML T6 LED. 2 white LEDs for floodlight. 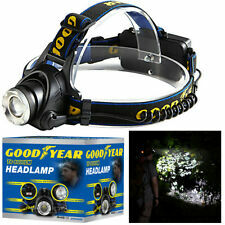 A great "must have" for Fishing, Camping or Astronomy or for anyone who needs a hands free torch. 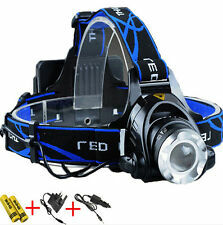 This bright powerful LED head torch allows you to switch between normal white light and red light. You will need to know theItem Number (12 digit) for all correspondence. Equivalent to 58 LED brightness. The soft adjustable elasticated headband provides comfortable and secure operation. Adjustable elastic headband for comfortable and secure operation. The lamp holder is made from 6061 aluminium alloy for strength in the product, yet remains light and easy-fitting for the user. 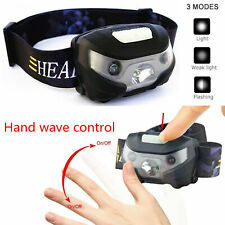 Army Military Head Torch. 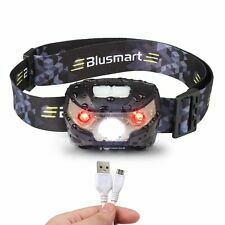 This quality military led head torch is also suitable for hiking, camping and other outdoor activities. 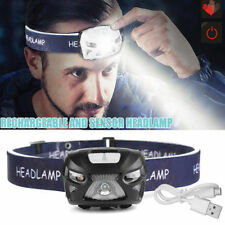 The head torch is provided with an adjustable camouflage head strap.